The Legal Group has conducted yet another successful Intellectual Property enforcement of similar products in two jurisdictions simultaneously. TLG was in possession of information about a ship carrying counterfeit products and relayed it to Sharjah Authorities. 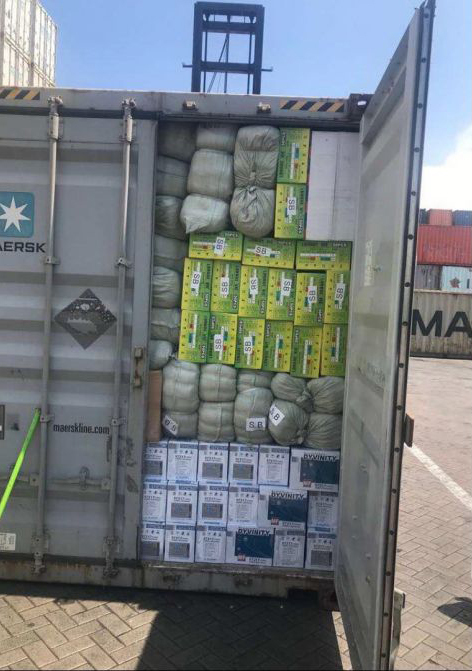 This led to the stopping of the shipment which was en-route to Africa. The ship had temporarily docked at Khorfakkan Port, Sharjah. The information revealed that, among other items, the ship was carrying a 40 foot container filled with counterfeit toothbrushes. Sharjah Authorities went on to seize the container in spite of the fact that it was in transit. Over 35,000 pieces of counterfeit toothbrushes were seized and further action will be taken against the perpetrators. At the same time TLG sought the assistance of the Morocco customs and commercial courts to seize another transit container in Tangier while it was also going to an African country as final destination. The 40 foot container was successfully seized and inspected. It was found to be containing over 72000 pieces of counterfeit toothbrushes. TLG maintains its resolve to combat counterfeiting across all jurisdictions.